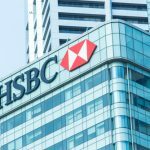 Right before the Conclusion of Volume 1 of his recently released final report, sole banking royal commissioner Kenneth Hayne QC took special aim at the National Australia Bank and specifically made scathing comments about its chief executive Andrew Thorburn and his chair Dr Ken Henry. And as a result, by the end of the last week, the pair were out of a job. 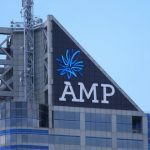 In the Final Report of the Royal Commission into Misconduct in the Banking, Superannuation and Financial Services Industry, Mr Hayne said that after he’d listened to what the two of them had to say during commission hearings, he wasn’t confident that the lessons of the past had been learned. The former High Court justice levelled criticisms at how Mr Thornton treated issues relating to the fees-for-no-service scandal “as nothing more than carelessness combined with system deficiencies”, when the bank will likely have to pay customers back over $100 million. The commission’s investigation uncovered numerous occasions when the big four banks placed profits before customers. That’s why Mr Hayne further stated it was “telling” that at the same time the men gave evidence, NAB staff were being pushed to sell five more mortgages before Christmas. 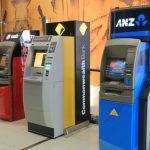 The banking royal commission was announced by former PM Malcolm Turnbull in November 2017. Calls for its establishment were sparked by a number of financial sector scandals that came to light beginning in 2014. But, the commission was stalled as the Coalition voted against it 26 times. Publicly released on 4 February, the commission’s final report makes over 24 referrals to regulators the Australian Investment and Securities Commission (AISC) and the Australian Prudential Regulation Authority to take further action over misconduct. It also made 76 recommendations on how the financial services industry could be improved. These include the requirement that mortgage brokers act in the best interests of borrowers, not the banks providing loans, and that borrowers should pay the brokers, not the lender. Other recommendations were that banks should be barred from charging dishonour fees, that pressure selling of insurance products should be outlawed and ASIC should focus on taking court action against those that breach the rules and not on issuing infringement notices. On the day following the release of the report, Mr Thorburn responded to the commission report criticisms in a statement. He wrote that the comments were “hard to read” and didn’t reflect who he is or how he was leading. 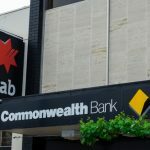 The soon-to-be former head banker said he’d cancelled his long-service leave due to the comments and he would be continuing to lead NAB’s 33,000 employees, who shared his “determination to be better for the customers”. However, on 7 February, NAB announced in a press release that both Thorburn and Henry had handed in their resignations that day. Although, many believe it was actually the board of directors who served them marching orders. Mr Thorburn is to leave his position at the end of this month, while Dr Henry is set to stick around whilst a replacement for the chief executive position is found. NAB director Philip Chronican will take over as acting chief executive in the interim. The royal commission heard evidence last year that NULIS – a super trustee owned by NAB – had been charging its MLC super customers fees for services that weren’t provided. This followed the bank having already admitted to carrying out a similar practice in relation to its retail customers. 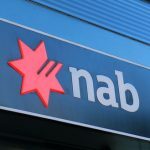 An ASIC media release from August last year outlines that its estimated NAB will pay over $6 million in compensation due to this practice, while its thought NULIS will be paying out close to $103 million it has robbed from clients. And as the commission moved to address NAB’s involvement in the fees-for-no-service scandal in August last year, it was heard that the bank’s legal team had failed to produce the majority of the documents requested relating to this matter until weeks after they were required. Following the public airing of the bank’s dirty linen, Thorburn posted a video on Twitter, in which he apologised to the bank’s customers for the mistakes the company had made. He promised NAB would “learn and get better”, so it would once again be a bank people “respect and trust”. In relation to NAB’s charging of fees for no services, as well as other claims of misconduct – which included failing to submit significant breach notifications within the time limit statutorily required – the report states that two things can be learned. 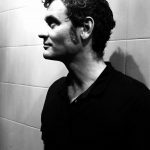 “First, lack of insight and accountability on the part of those most senior in a retail group can lead to delayed and poor outcomes for the members of a fund,” it reads, and goes onto say that although executives were aware of the issues, they stalled on rectifying them as they wanted to save face. And second, the NAB case “highlights the importance of a regulator monitoring and enforcing trustees’ compliance with their duties”. Rather than waiting for a problem to arise, the commissioner puts forth that they should be proactively prevented from happening. It’s thought that the first casualties of the banking royal commission drew the ire of Mr Hayne due to the way they presented at the public hearings. Thorburn – who had been with the company since 2005 – didn’t say what the commission expected of him during his brief appearance. Whereas, Dr Henry has stated that he is well aware that his performance at the commission hearing wasn’t up to scratch. “I did not perform well. I really should have performed quite differently. I should have been much more open,” he has said. However, as one Q&A viewer revealed last Monday night when he asked a question of the program’s panel, many in the community are questioning why no arrests have been made, after the commission uncovered much alleged criminal activity.